Rauno is co-owner of Starlite Ballroom. He has been dancing and teaching around 30 years. Together with his wife Kristiina they were 12- times Estonian Ballroom, Latin and 10-Dance Champions. They were also 2-time Undefeated all Soviet Union 10-Dance Champions and World 10-dance Finalists. After moving to America, they quickly became one of the top professional ballroom couples in the country and were the grand finalists in every Open Professional Ballroom Championships they entered. That included third place finish in the United States National Ballroom Championships. They were also United States “ Top Professional Ballroom Couple Of The Year” for three years in the row. After retiring from professional competitions Rauno continues very actively to participate in Pro-Am competitions with his students. He has been the Top Teacher in the United States Championships for three consecutive years and has also won DanceSport Series Top Teacher Award twice. Rauno is teaching all styles of ballroom dancing in all levels (Bronze, Silver, Gold and Open). His students have won around hundred National Titles and also 7 World Champion Titles. Rauno is a Dual Fellow of the ISTD (Imperial Society of Teachers of Dancing) and Championship Certified in all forms of ballroom dancing. He is also World Class adjudicator and continues to judge competitions and coach dancing across the country. In 2016 Rauno was representing the United States as an Adjudicator in the highest possible level of dancesport competition in the World – 2016 World Professional Ballroom Championships that took place in Blackpool, England. He was one of the 11 judges from around the world selected by the World Dance Council. Kristiina Ilo is co-owner of Starlite Ballroom. Kristiina started dancing at the age of 12. Together with her husband Rauno, she has been a 12 -times Estonian Ballroom, Latin and 10-Dance Champion. They were also 2-time undefeated all Soviet Union Champions and World 10-Dance Finalists. After moving to USA, they become one of the top professional ballroom couples in the country, winning numerous Championships. They also held the “ Top Professional Couple of the Year” title for three consecutive years. Kristiina is currently teaching at Starlite, as well as being a visiting coach in several other studios around the country. Her students have won several competitions as well as United States Championships. Kristiina is a Dual Fellow of the Imperial Society of Teachers of Dancing and is Championship certified in all styles of dancing. Kristiina also holds World Class Adjudicator license and is being invited to judge numerous dance competitions and Championships in US and abroad. She was the US representative judge for the World Professional Latin Championships in Italy. Jonas has been dancing for 18 years and had the honor of being top representative dancer for Lithuania and England throughout his Youth and Amateur dancing career. Having done big dance shows as a professional dancer/instructor/choreographer with ‘Stricly Come Dancing Stars’ and Jack Vettriano in England, he has great experience in teaching and performing. In England, Jonas has been actively teaching, coaching and competing with his students in Pro/Am divisions in all styles of ballroom dancing. After finishing his Performing Arts Dance Degree in Bournemouth University, Jonas moved to America to continue his dance career. He is currently dancing and competing on all major Championships in US in Professional Standard, Latin, and 10-Dance. After just dancing 1 year together with his Professional partner Kathleen Ilo from Starlite, they made the Final in all dances and placed 5th overall at 2015 World Professional 10-Dance Championships. In 2016 they were Grand Finalists again for the second year in the row. In March 2016, Jonas with his celebrity student was the “Reason to Dance” Fundraiser for Riley Hospital Mirrorball Trophy winner. On June 24, 2017 Jonas and Kathleen placed 3rd in the World Professional Championships in Showdance division in Cervia, Italy. On Sept.6, 2017 Jonas and Kathleen became new United States Professional 10-Dance Champions. In 2018, Jonas and Kathleen won United States Professional 10-Dance Championships for the second year in a row. They also won the 2018 United Kingdom Open 10-Dance Championships for the second year in a row. On October 13, 2018 Jonas and Kathleen won Bronze medals at the World Professional 10-Dance Championships in Minsk, Belorussia. Kathleen is coming from a dance family and has been training and competing from very young age. As an amateur dancer, she quickly moved thru the ranks in International style of dancing, picking up United States Champion titles in every level along the way. Her amateur career culminated with three consecutive World Champion titles. 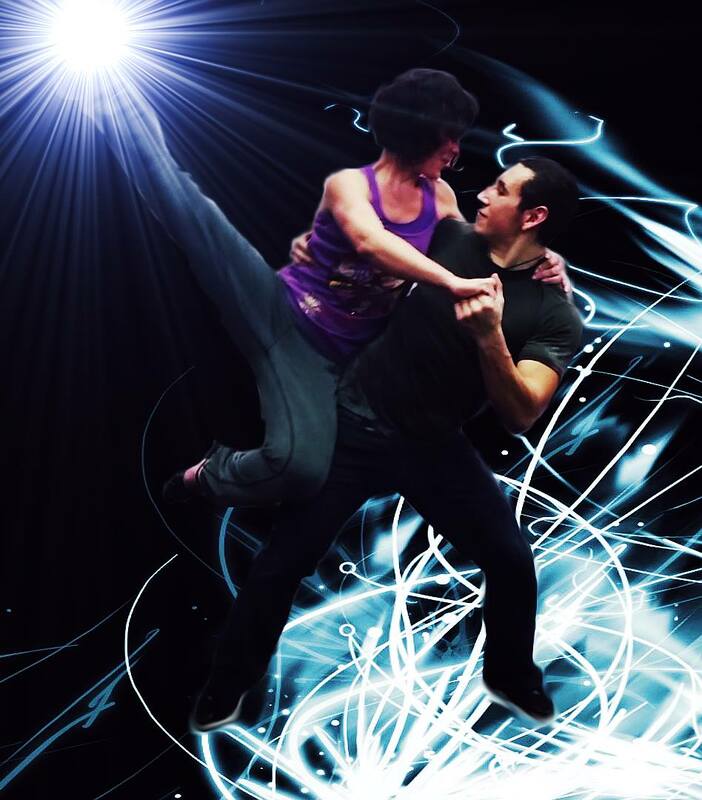 Since turning professional, Kathleen has traveled the world to train under some of the most renowned and prestigious coaches in the Ballroom and Latin. Kathleen has competed at nearly every major Championship around the United States and Europe. After just dancing 1 year together with her current professional partner Jonas Kazlauskas from Indianapolis Dance Lessons at Starlite Ballroom, they made the Final in all dances and placed 5th overall at the 2015 World Professional 10-Dance Championship. In 2016 they were Grand Finalists again for the second year in the row. 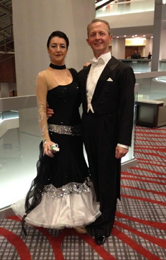 Along with being a current professional competitor in both Ballroom and Latin styles, Kathleen is also an active Pro-Am teacher and competitor with her students. She enjoys teaching any level student regardless of age and ability and she is also very active working with kids. Her competing students range from beginner level to championship caliber and they have been attending numerous competitions across the country in American as well as International styles. She was awarded Top Teacher title at the Indianapolis Open DanceSport Competition in 2014, 2015, 2016. She has also been part of the Dancing like the Stars professional team. In 2016, Kathleen and her celebrity student won the Mirrorball Trophy at the “Dancing Like the Stars” benefit in Anderson, Indiana. In March 2017, Kathleen with her celebrity student was the “Reason to Dance” Fundraiser for Riley Hospital Mirrorball Trophy winner. Scott is a certified, award-winning instructor, teaching for over 27 years in Indianapolis area. He teaches Rhythm, Smooth, Ballroom and Latin styles, all levels, including Country Western. His achievements include numerous top teacher awards: World Dance-O-Rama Las Vegas; Voted ‘Rising Star ‘ dance instructor in 1995, and most recently took 2nd place Top Teacher at Indianapolis Open 2014. Winner of 3 mirror ball trophies at the local Dancing Like the Stars contest. Scott met his wife, Yulia, in 2000 and have been competing with her in professional American Smooth and International Ballroom since 2004. Their numerous top 3 finishes throughout Midwest Rising Star and Open Professional styles, include 2nd in open professional Indiana Challenge, 2nd in Cincinnati Ballroom Classic Rising Star and open pro, and most recently 3rd at Indianapolis Open Rising Star, and 1st in North American Imperial Star, Rising Star Standard division. They also won 1st place in Dance For Hope contest in Greenfield. Yulia moved from Belarus in 1990, met husband and partner Scott in 2000. She has been teaching for around 15 years, as well as competing professionally with her husband for the last 11 years. Yulia teaches all 4 styles – Smooth, Rhythm, Ballroom and Latin, all levels. Winner of one Mirror Ball Trophy for the local Dancing Like the Stars contest. With her husband, placed numerous times in the top 3 throughout Midwest Rising Star and Open Professional, including 2nd in open pro Indiana Challenge, twice 2nd in Cincinnati Classic Rising Star and open pro, and most recently 3rd in Indianapolis Open Rising Star, and 1st in North American Imperial Star, Rising Star Standard division. Together, they won 1st place in Dance For Hope contest in Greenfield. Yulia is teaching Indy Dancers for the past 8 years with her husband, Scott. Ron has been a ballroom dance instructor for over 30 years, teaching all levels in the Smooth and Rhythm styles. For many years he owned and operated the Studio 3 in Indianapolis together with his dance partner JoAnna Markley. He competed very successfully in Pro/Am competitions winning Top Teacher Awards throughout the Midwest. Ron is actively teaching group and private lessons at Starlite. Introducing Newcomers to the World of Ballroom dancing has always been his specialty. Originally from Marion, Indiana Xavier Medina studied dance at the Community School of the Arts in downtown Marion. There he studied variety of dances including Jazz, Tap, Ballet, Modern, and Hip Hop under many great talented instructors including Jamie Bragg, Matt Cady, and Mark Goodman up until 2007 when he graduated high school. However, the longest standing dance style he has thrived and continued to learn was International Standard and Latin Ballroom for an upcoming 17 years under Mike and Ronalda Kuechev. He has continued his studies through the Contemporary Modern program at Indiana University studying under Sherilyn Folley, Selene Carter, Roberta Wong, and Elizabeth Shea, until 2012 where he graduated and moved to greater Indianapolis region. Aside from teaching professionally American and International style ballroom, he includes expertise in social, street style ballroom (West Coast, Argentine Tango, Salsa, etc) along with a variety of dance styles. He is happy to continue sharing his experience and growth through his 1st year teaching at Starlite Dance Studio. In 2008 to 2009 he was the choreographer and director of Flores de Samba Dance Company of Bloomington Indiana, a Brazilian style dance company that included learning the cultures of Brazilian culture and language as well as learning the art of traditional Brazilian Samba dance. In 2009-2012 He was appointed music editor, Lighting master, and company member of Hip Hop Connxion, a Hip Hop dance company based out of Chicago, Illinois, supervised under the executive director and founder Suave Connxion. He toured wit the group all across the nation including other universities including Boston University and Michigan University, which focuses on student based choreography and teamwork within the dance company at a collegiate level. In 2010 to 2012 he was director and founder of the IU Ballroom Dance Company, also known as the IU Formation Dance Team, within the student group IU Ballroom Dance Club. This company focus on team based performances throughout the university campus with emphasis on ballroom dancing but also includes other styles including Jazz and Hip Hop. This group also competed at the collegiate level at Ohio Star Ball, placing 3rd overall in 2011. He has performed for the Hamilton County “Dancing Like the Stars” for the “Meals on Wheels” charity venue presented by St. Vincent Hospital from 2014 to 2017, while recently being awarded the Mirror Ball trophy winner in January 2017. His last and longest charity event he has been a part of is for the Anderson, IN, Paramount Theater production of “Dancing Like the Stars” fundraiser from 2015 to 2016 and have just recently won Judges Runner Up and Audience Choice Mirror Ball trophy in 2017.
they can effortlessly and beautifully manuever in and through any dance environment is her specialty.